Want to cuddle with River? Need some comfort and connection? Perhaps you’re going through a stressful time, or you have a history of trauma. Perhaps you struggle with chronic pain or illness. Or maybe you just feel distant from the people around you, and notice that you aren’t getting enough healthy touch in your everyday life. Even if you have a great group of family and friends to support you, sometimes you just want someone safe and non-judgmental to be with you and focus on your needs. I provide that through platonic touch in the form of professional cuddling. 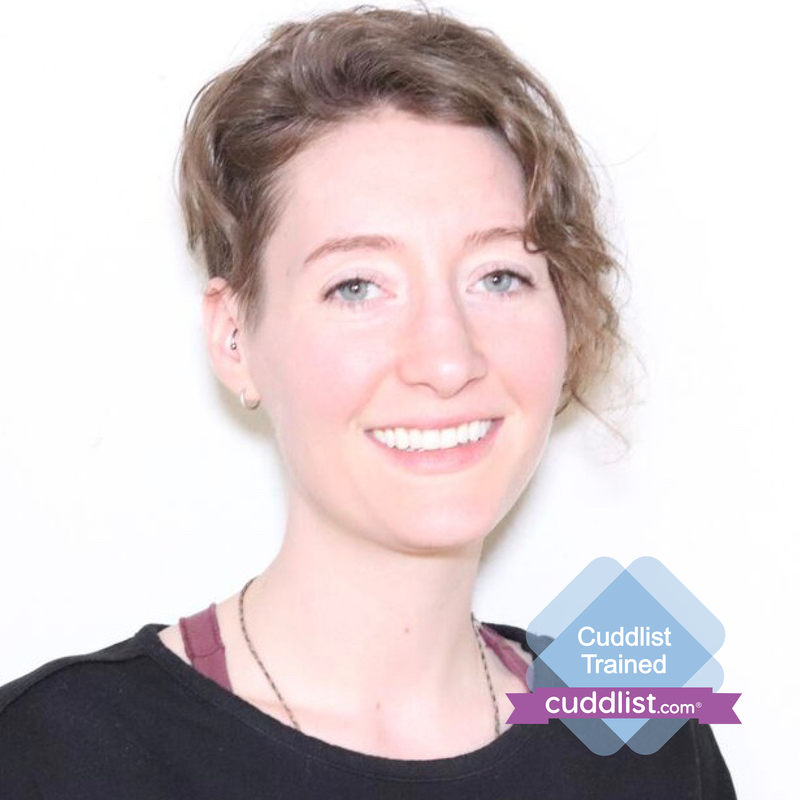 As someone who has extensive training in trauma therapy, and who identifies as queer/non-binary (pronouns are she/her/hers or they/them/theirs), I specialize in working with trauma survivors, and with all people who identify as women, or who identify as queer, non-binary, trans, or have orientations other than heterosexual. 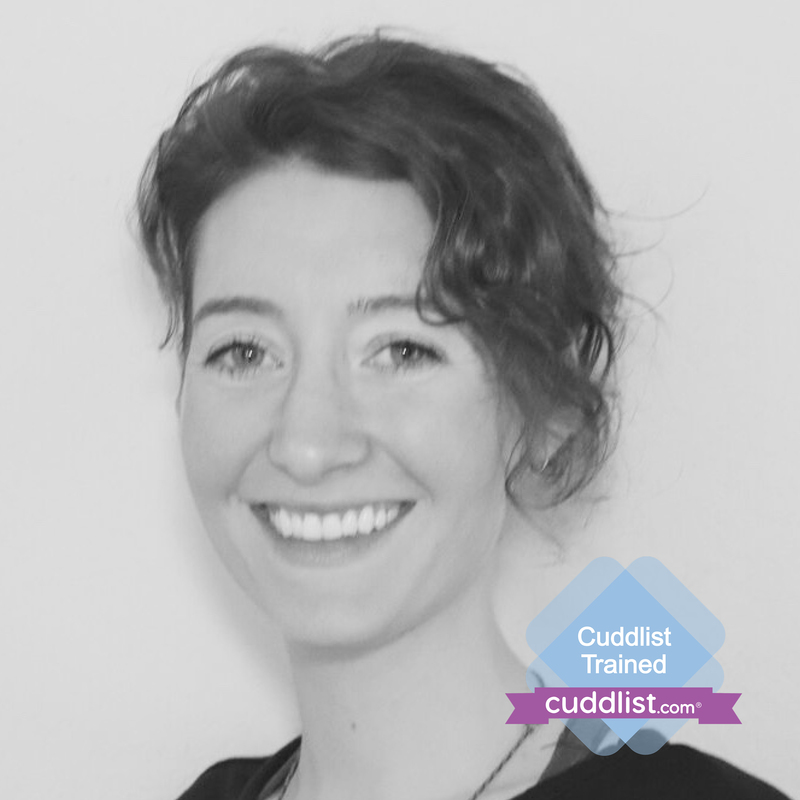 I have a MA degree in somatic psychology from Naropa University, and worked for years as a psychotherapist, but decided that I wanted to provide a different and more direct type of therapy in the form of therapeutic cuddling, as I have personally found cuddling to be nourishing and healing in a way that is all its own, in that it can create a lived experience of being-with that is deeply grounding and which can bypass unhelpful thought-patterns that we can get stuck in. My goal is to give you the space and contact you need to feel safe, empowered, and resourced. I welcome the opportunity to share space with you. I conduct my sessions on the fold-out couch in my living room, or sometimes in the hammock outside if the weather is nice. If indoors, I will sometimes play music on spotify (artist requests welcomed), or we can also have the session in silence if preferred. Watching something together while cuddling is also an option, but I usually like to have the first session be a little more focused, just so that we can get a sense of each other. I do not have any pets. I am not accessible by public transit –– I live about 20 minutes up the mountain from downtown Boulder, and 2 miles of dirt road are part of the trip to my place. There is a parking spot available for guests, and a little path to walk down to my apt from there. I ask that all of my clients avoid using any chemical fragrances (which can include: dryer sheets, laundry detergent, perfume, cologne, cigarette smoke, etc.) before our sessions. If there are any of these strong smells in your place, I may not be able to have sessions with you at your place. Thanks for understanding!